Ten Speed Press, 9781607744689, 320pp. JENNIFER MCGRUTHER is a food educator and the author and creator of the award-winning traditional foods website, Nourished Kitchen (www.nourishedkitchen.com). She teaches workshops on traditional foods, fermentation, and food activism. Jennifer lives with her husband and son in the central mountains of Colorado where she and her husband started and managed a farmers market for seven years. 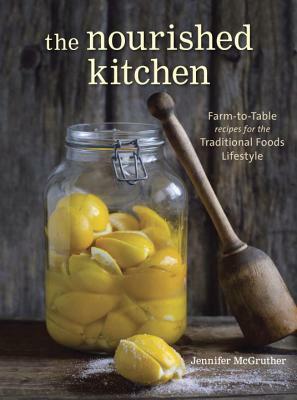 Her work emphasizes traditional, from-scratch cooking with a focus on farm-to-table recipes.